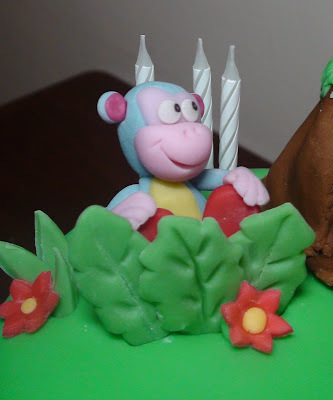 Vanilla cake with pink buttercream and fresh strawberry coulis filling covered and decorated with fondant. 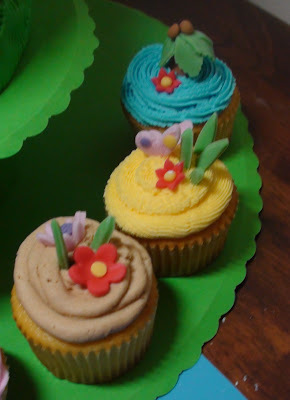 Cupcakes are vanilla with buttercream topping and fondant decorations. 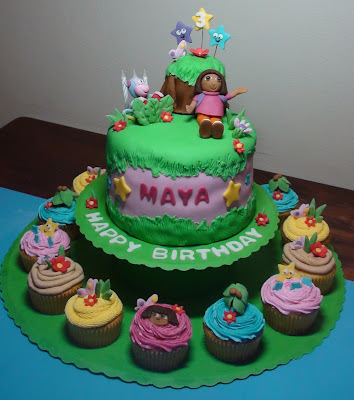 the cupcake tower is hand made and customized to suit the theme.